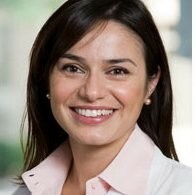 Dr. Al-Adeeb received her Doctor of Medical Dentistry degree in 2003 from Boston University. After graduating with honors, she went on to complete her certificate in Endodontics in 2006. Following extensive education, she knew that endodontics was the right area for her because she likes getting her patients out of pain. Endodontics deals with the dental pulp, which can often get infected or damaged, causing pain. She’s looking forward to showing up in your next search for ‘dentist near me’ to provide you relief and comfort. Dr. Al-Adeeb stays up-to-date on the latest technologies in endodontics. She is expertly trained in the use of surgical operating microscopy, digital radiography, and 3D imaging to provide her patients quality and Hi -Tech care. She listens to her patients, and she prioritizes their needs to make them comfortable and happy. To stay abreast to the recent happenings in dentistry and endodontics, she is a member of the American Association of Endodontics, Massachusetts Association of Endodontics, Massachusetts Dental Society, and American Dental Association. Even with her impressive education, she still maintains membership in these organizations because she understands that dentistry is always advancing. That way, she can provide the highest quality treatment possible to her patients. Are you ready to meet your new Norwood dentist? She’s ready to meet you! Dr. Al-Adeeb takes pride in joining a practice that has served the Norwood community and surrounding areas for over 50 years. Schedule a visit to Central Dental Associates to receive care from our talented new addition, Dr. Zena Al-Adeeb. For any questions, she can be contacted through our website or by phone at (781) 769-3566.